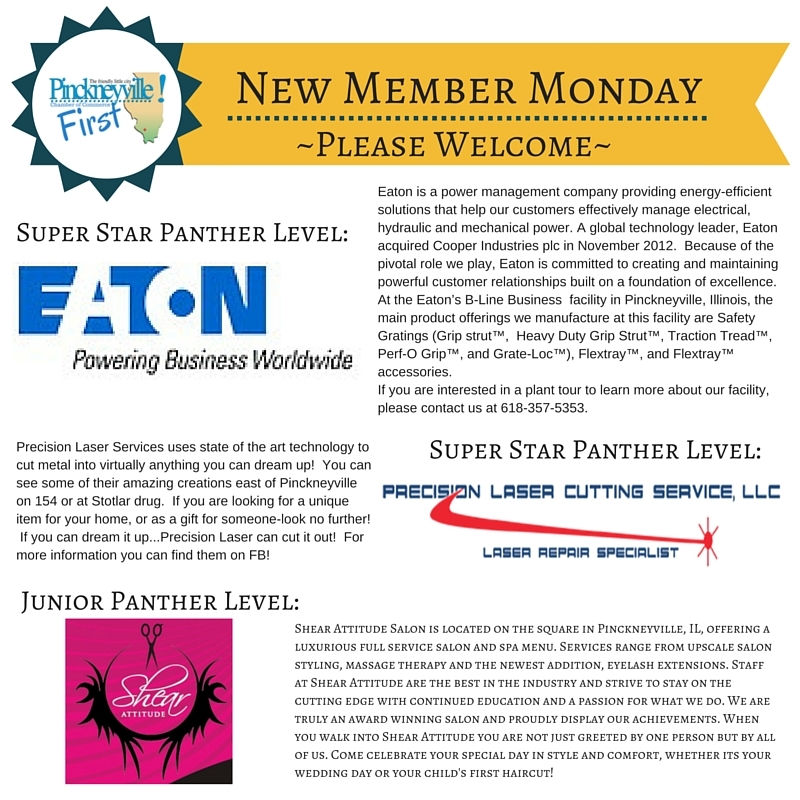 Download a PDF of the flyer HERE! The Pinckneyville Chamber of Commerce is having our 21st Annual Golf Scramble on June 5, 2016 at Red Hawk Golf and Grille. This year all proceeds from the event will be used to purchase new decorations for the pole lights on Main Street. You can send a team of four to the 18 hole scramble for $60 per person. Which includes cart, beverages on the course, and a meal following play. There will also be awards and prizes presented during the meal. To sponsor a hole or send a team please download the: 2016 Golf Scramble Flyer. We are looking forward to your participation! 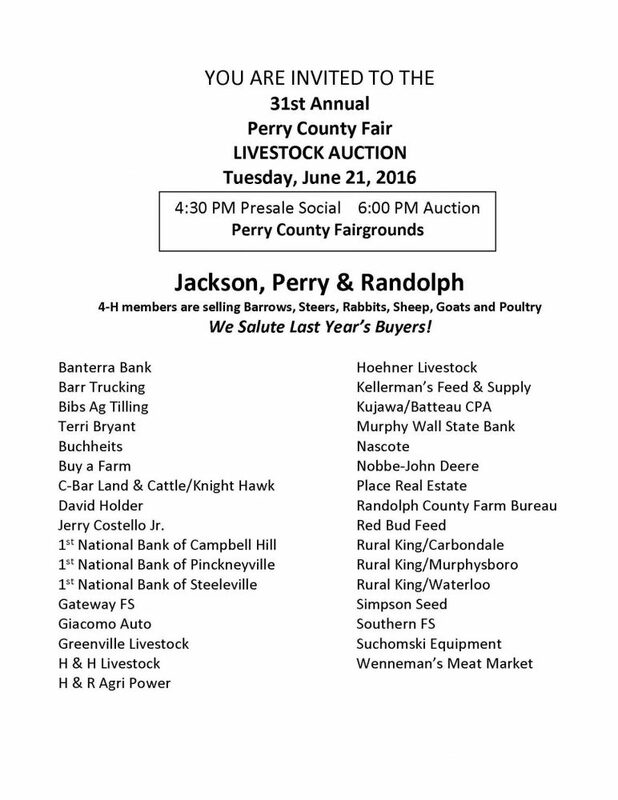 We would like to take this opportunity to thank our corporate sponsor Knight Hawk Coal and our Super Star Panther Chamber members: Pinckneyville Community Hospital, First National Bank, Kujawa and Batteau, Pyatt Funeral Home, Stotlar Drug Company, and Perry County Marketplace. See you all at Red Hawk! Join us and bring your furry friends too!!!! 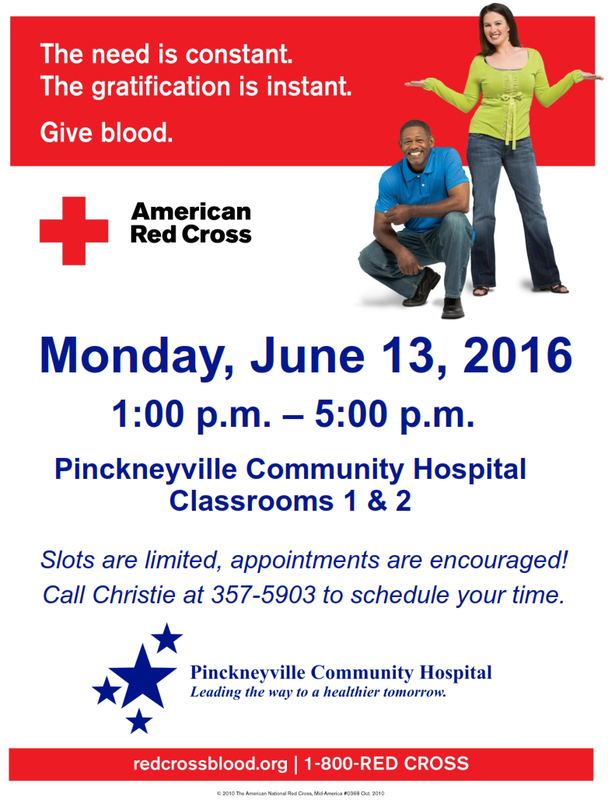 May 21st from 11am-1pm at the Pinckneyville location. There will be plenty of fun activities, food, and demonstrations for you and your pets to enjoy!!! 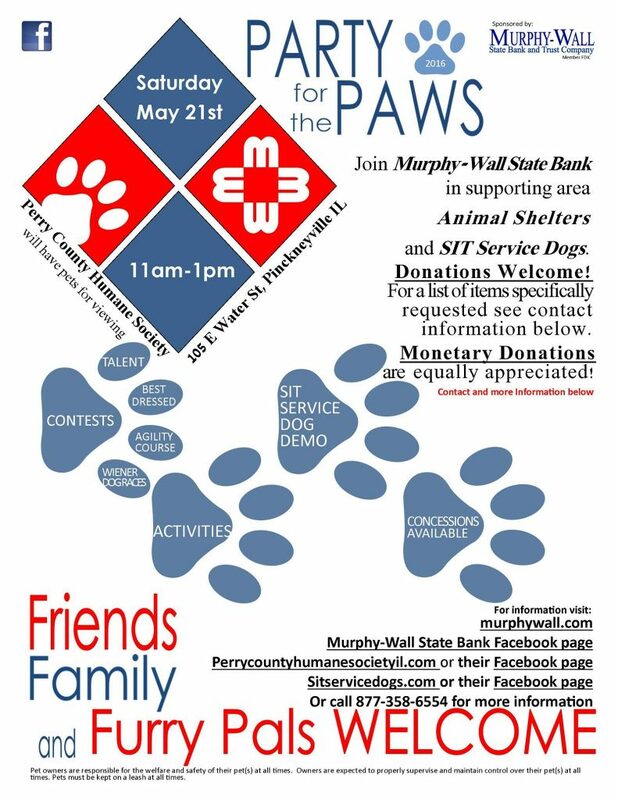 We will be collecting donations for the local Animal Shelters. Please check our website for the list of items that the Animal Shelters are in need of – Don’t forget to dress your pet up and win some prizes. 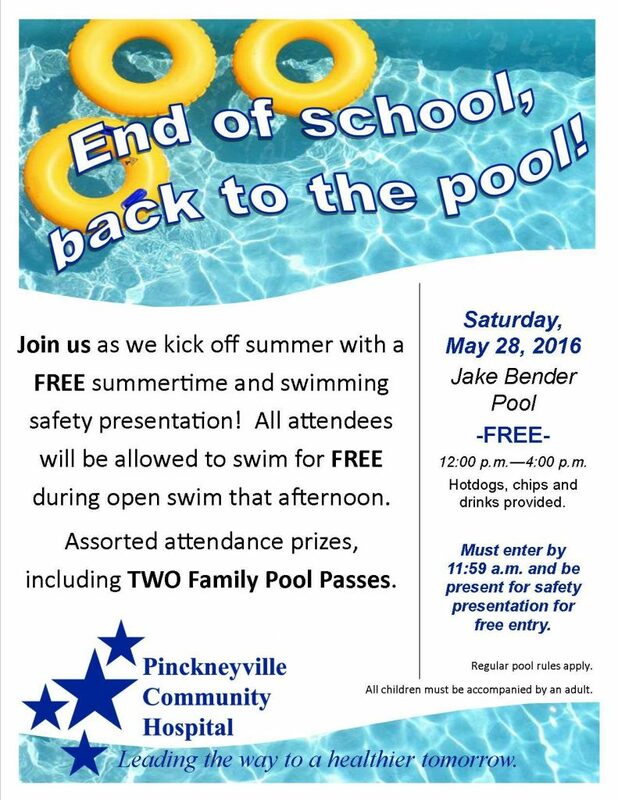 Come join us in supporting our community! If you are a business owner and would like to be part of this awesome event click here for details! 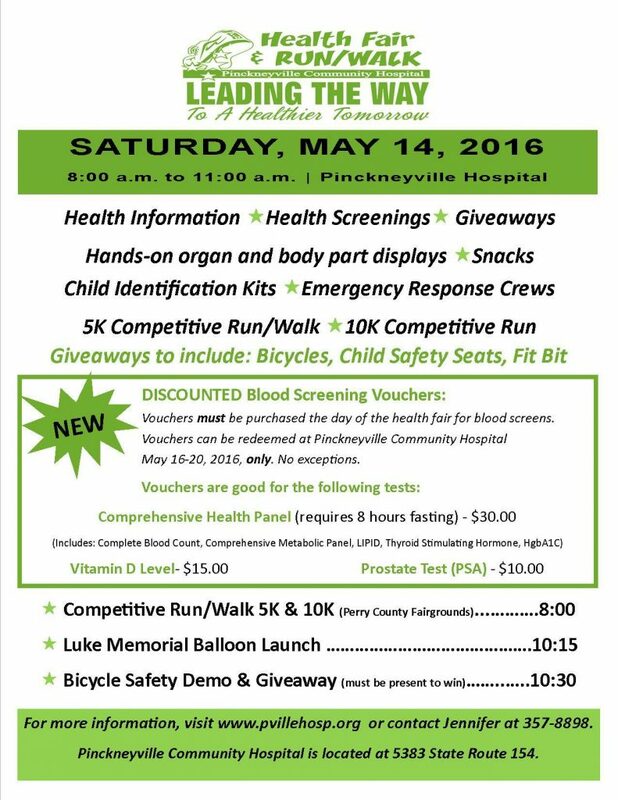 On May 14th the Pinckneyville Hospital will be hosting a Health Fair and Run/Walk. There is still time to send a team to the Perry County Advocacy Golf Scramble this Saturday!